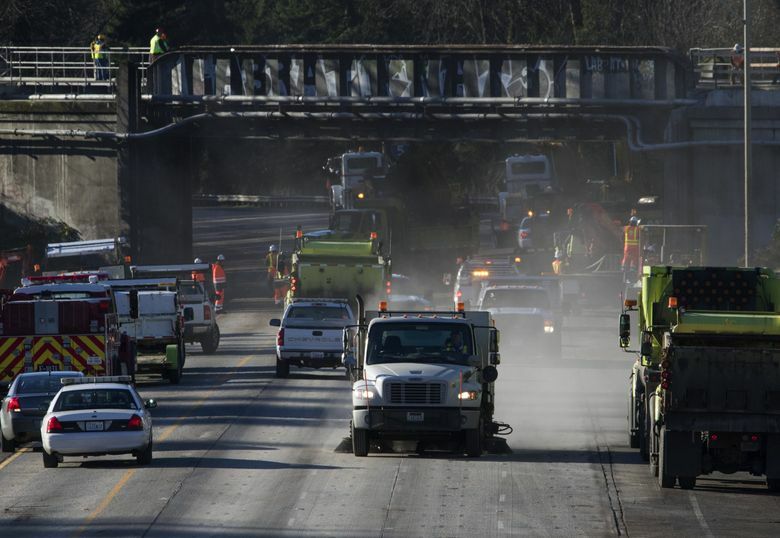 All lanes of traffic on Interstate 5 near the scene of Monday’s deadly Amtrak train derailment are open after state transportation workers finished roadwork ahead of schedule Wednesday night. The Washington State Department of Transportation tweeted that the reopening was “great news” for anyone traveling south. All lanes of sb I-5 at Mounts Road (milepost 116) have reopened. Crews were able to complete work activities that required a right lane closure ahead of schedule. The Mounts Road on-ramp to sb I-5 has also reopened. No remaining closures following the Monday train derailment. The roadway had been blocked as state workers and contractors hoisted 12 train cars and a 270,000-pound locomotive from the freeway and surrounding area. 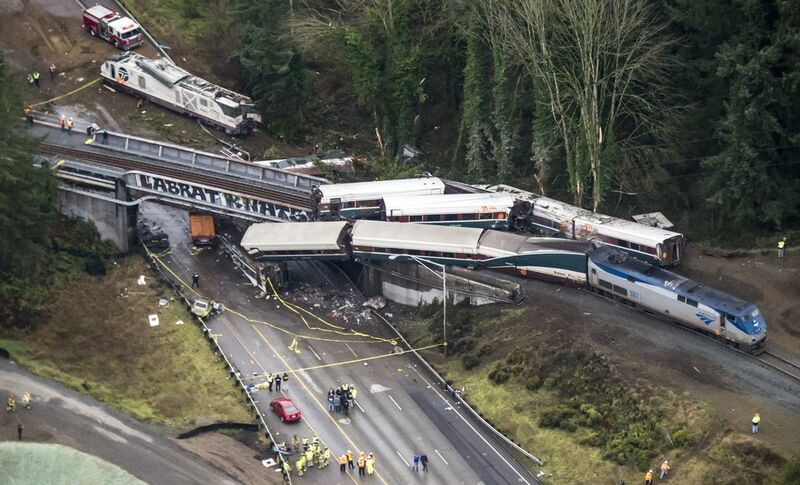 When the train derailed, it pushed knee-high debris onto the roadway and damaged a portion of I-5. Officials opened two left lanes to traffic Wednesday afternoon, then opened the right lane a little later after repairs were finished ahead of schedule, according to WSDOT. 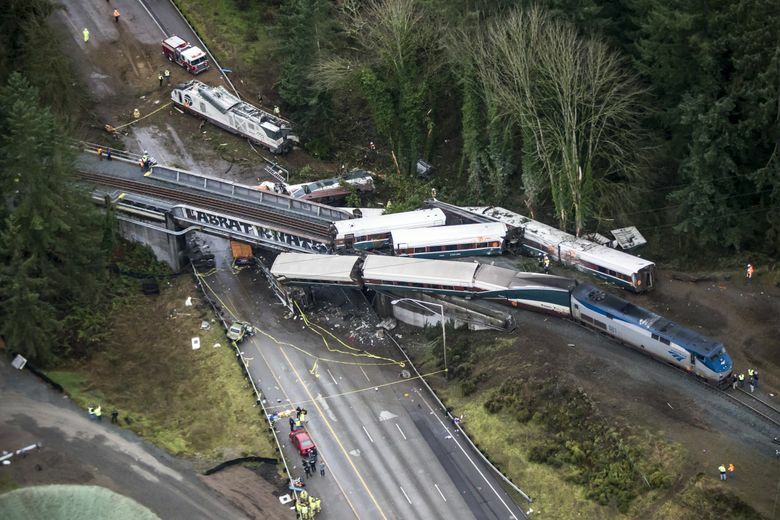 Earlier Wednesday, officials deemed the railway crossing, where the train spilled onto I-5, killing three people and injuring dozens more, to be structurally sound. Some damaged utility conduits needed repairs, officials said. The Mounts Road onramp has also reopened and officials don’t expect additional closures. As of 7 a.m. Thursday, traffic was flowing freely through the area near DuPont, Pierce County, between Olympia and Lakewood.